What Makes Up the Network? The Developmental Disabilities Assistance and Bill of Rights Act (DD Act) is the fundamental law that supports and enhances the lives of people with developmental disabilities and their families. Grant funding to support initiatives in civil rights protections, education and early intervention, child care, health, employment, housing, transportation, recreation, family support, and other services. Individuals with developmental disabilities use individually planned and coordinated services and supports of their choosing (e.g., housing, employment, education, civil and human rights protection, health care) to live in and to participate in activities in the community. State Councils are federally funded programs that identify the most pressing needs of people with developmental disabilities in their State or Territory. Councils work to address these needs by changing systems and capacity building efforts that promote self-determination, integration and inclusion for people with developmental disabilities. These centers support activities that address various issues like prevention, early intervention, and supported employment. They represent a broad range of disabilities. Additional grants may be awarded to UCEDDs to carry out national training and other initiatives. Current training initiatives are supporting post-secondary education opportunities for people with developmental disabilities and enhancing self-determination skills. There are two grants to UCEDDs to focus on partnerships with institutions serving minorities. PNS funds provide grants, contracts, and cooperative agreements to public and private, non-profit institutions; in turn, these entities provide opportunities for those with developmental disabilities to contribute to and participate in all facets of community life. Funds also support the development of national and state policies that reinforce and promote the self-determination, independence, integration and inclusion of individuals with developmental disabilities. The Administration on Developmental Disabilities: The Developmental Disabilities Assistance and Bill of Rights Act of 2000. Retrieved on July 11, 2013. Date posted: March 29, 2011. Content created by The National Association of Councils on Developmental Disabilities. Last updated: March 21, 2018. 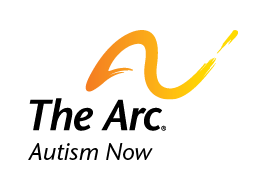 Find similar content about: Autism 101, Civil Rights.